Hotel Ristorante Vittoria Marzio, Hotel Italy. Limited Time Offer! Hotel Ristorante Vittoria. 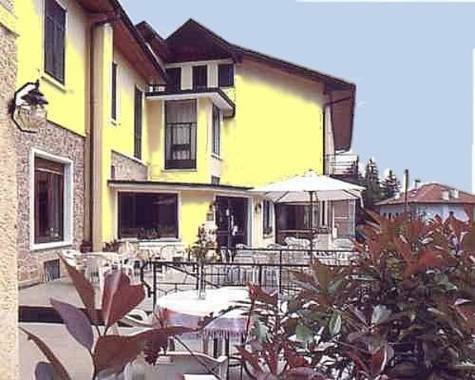 "Hotel Ristorante Vittoria" has received 1 star. This accommodation is an excellent base for exploring Marzio. The accommodation is excellent for visiting the neighbourhood as it is ideally situated right in the moutain. This accommodation has 14 rooms in total. Thanks to the relieving air conditioning, the room temperature is never too hot. Some of the rooms have a balcony. For a little stroll, the private garden is excellent. You can dine at the onsite restaurant which is known for its international and Italian specialties. After dinner, you can enjoy a drink at the lounge bar. For those who like to keep track of their email, there is Internet access available at no extra charge. Surrounded by mountains and green areas, the family-run Trattoria Al Grottino Con Alloggio offers rustic rooms with free Wi-Fi. It is located in Brusimpiano, a 10-minute drive from the Swiss border.